Kulfi Kumar Bajewala will make the audiences roar with confusion as Tevar demands Lovely to meet his daughter in the upcoming episode. 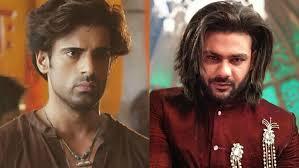 Tevar has seen the girl side of Kulfi whereas Sikandar and Lovely know Kulfi as a boy. Tevar eyes Kulfi at jagrata and hears Kulfi giving money in name of Lovely and thinks that Kulfi is Tevar and Lovely’s daughter. Tevar comes to Lovely’s home demanding to see his daughter who actually is Amyra. Lovely thinks that Tevar is talking about Amyra and so Lovely gets scared as Sikandar does not know about Lovely’s ex affair with Tevar and that Amyra is Tevar’s daughter. Sikandar does not understand anything in lieu of Kulfi as Tevar and Lovely hide things from Sikandar. Will Sikandar get to know that Kulfi is a girl and not a boy? What would be Sikandar’s reaction post knowing that Amyra is not Sikandar’s daughter?